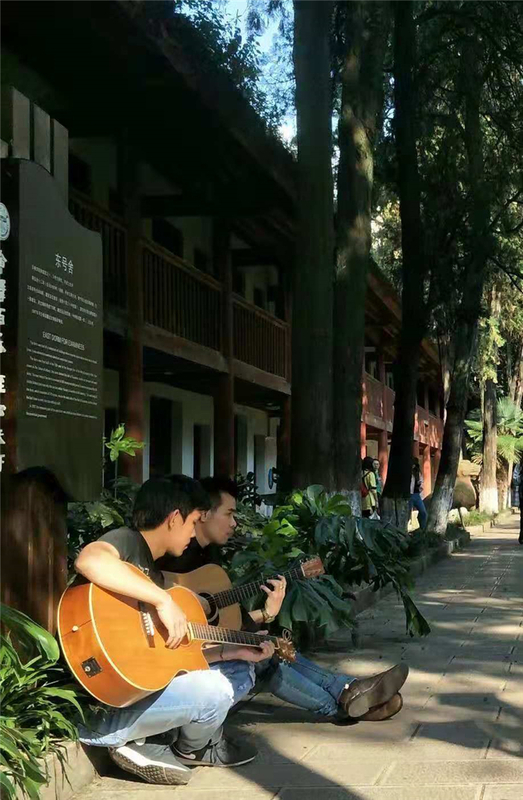 While two handsome young men were playing guitar, four of their fellows were singing affectionately beside, in the campus of Yunnan University. Although they sang in a foreign language, no one can deny the charm of the fair-sounding melody. The music is from a school band called “The funny”. Members of the band are overseas students of Laos. They were singing a Laotian song named “lovely”. 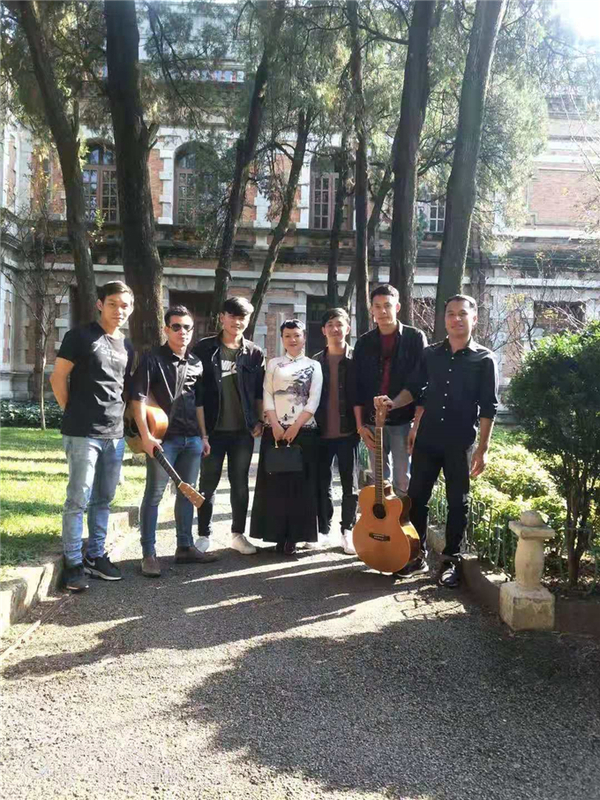 Three years ago, Sisouvanh Onepadith, an Laotian overseas students met a group of his compatriots who were fond of music as well. They hit it off so well that they jointly came up with an idea to form a band. This is the story of “The funny”. 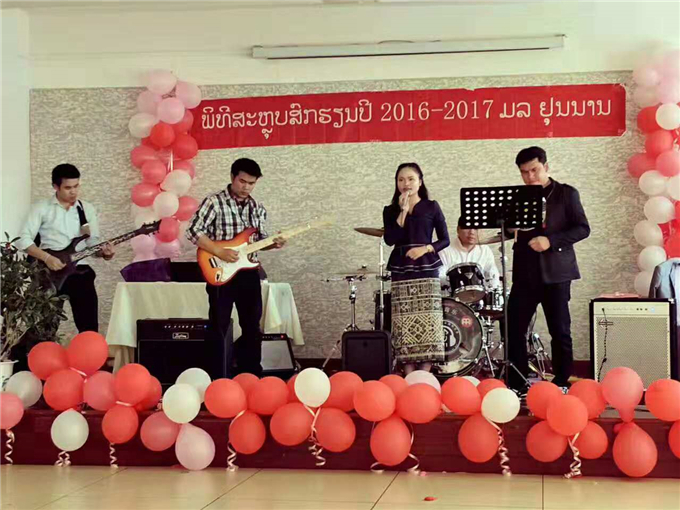 The band consists of Laotian overseas students and it has become the new home for the band members. Now five official members and three alternate members are in the band. For Somsanouk Thammavong, being a member of the band is not an easy job currently as he has to learn music theories from the bottom. He stretched out his hand to show the calluses, saying that he has been practicing very hard with the person in charge of the band to be qualified to enter the group at an early date. 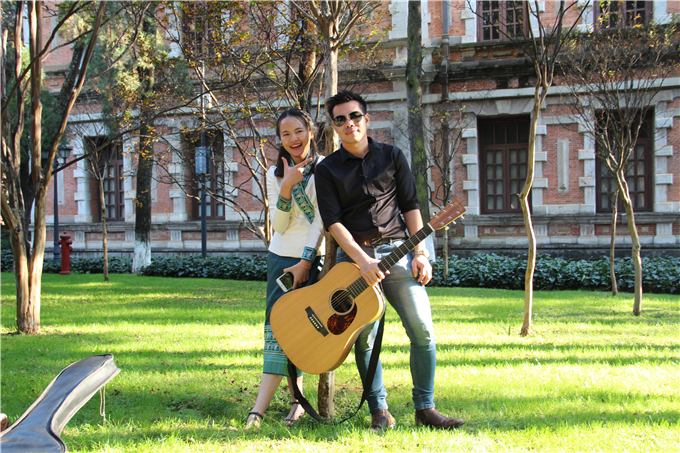 Toum, the band drummer, is a Laotian overseas student majoring in administration management in the university. He has gained the experience in band performing for a decade before he came to Yunnan Province. A veteran as he is, Toum still needs to keep on practicing in order to have tacit cooperation with other members in each show. 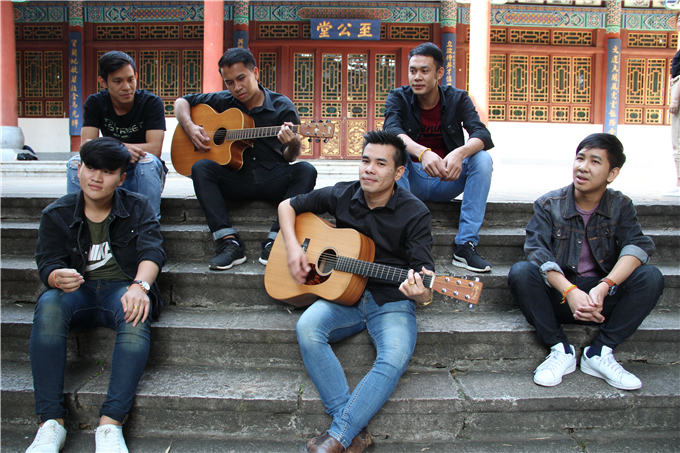 They rehearse on every weekend at downtown of Kunming, capital city of Yunnan Province, after establishing the band. Sisouvanh Onepadith always makes meticulous preparations before each rehearsal. “I’ll choose a song in advance and play it in the studio. Music scores will be given to everyone and then we’ll begin practicing,” He said. He also said that some of them might not be able to keep up with the rhythm occasionally, and it is the time for him to be a conductor. Efforts will finally be rewarded someday. Now “The Funny” is a band of some renown in the campus. 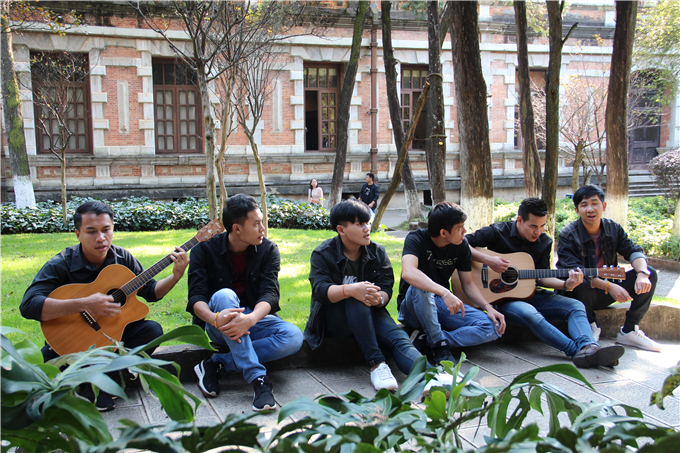 The three-year-old band has been invited to a series of shows like welcome parties for freshmen, graduation parties, events of international and cultural exchanges and New Year celebration of Laotian consulate in Kunming. They amazed audiences via vigorous performances and impassioned music. Members of the band gather because of music and they also introduce Laos and Laotian culture via music. They won warm applause every time when performing Laotian songs and dances. After each show, Bouthongkham Khola, a member of the band would introduce folk music and dances of Laos to audiences. In Bouthongkham Khola's view, the significance of the band exists only when music is being used as a method to promote Laos. On the other hand, they are getting to know more about Yunnan by giving performances or attending different activities in the province. 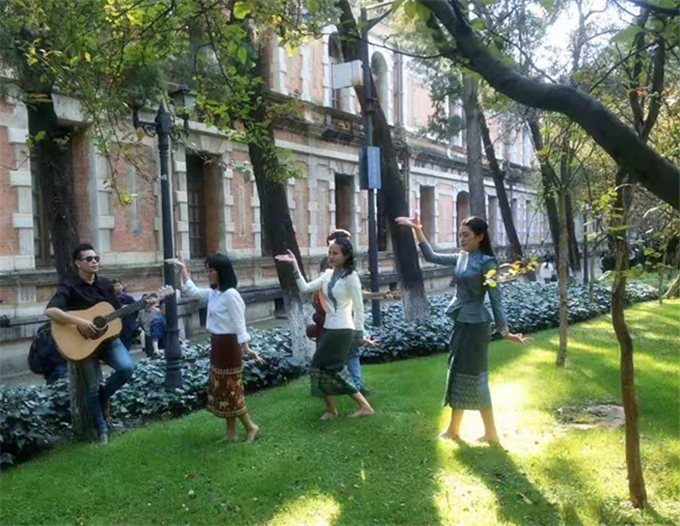 Bouthongkham Khola still remembered when they got invited to attend the first culture exchange week for international overseas students in Yunnan, they have also toured museums, Aviation College of Kunming University of Science and Technology and Yuxi City during the event. Bouthongkham Khola said that he would have missed the chance to participate in an activity like this if he had not joined the band. “I experienced Yunnan ethnic culture and made friends from various countries,” He said. Many overseas students from Laos gather together because of “The funny”. Meanwhile, the band is getting more and more popular as well. 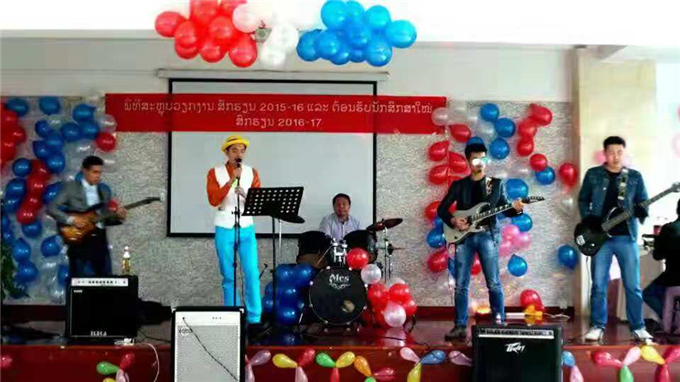 Sisouvanh Onepadith hopes that the band will continue to bring warmth and good times to Laotian overseas students and his compatriots can communicate with more international students. Although somebody will be in charge of the band after I graduate, “The funny” will last long, said Sisouvanh Onepadith.